When you’re given the graph of a function and your pre-calculus teacher asks you to find the limit, you read values from the graph — something you’ve been doing ever since you learned what a graph was! If you’re looking for a limit from the left, you follow that function from the left-hand side toward the x value in question. Repeat this process from the right to find the right-hand limit. If the y value being approached from the left is the same as the y-value being approached from the right (did the pencils meet? ), that y value is the limit. 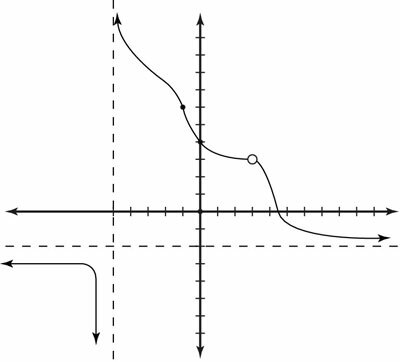 Because the process of graphing a function can be long and complicated, you shouldn’t use the graphing approach unless you’ve been given the graph. Finding the limit of a function graphically. you see that the y value approaches 3. So you say that the limit of the function as x approaches 3 is 3. Therefore, the limit doesn’t exist at this value, because the left-hand limit is negative infinity but the right-hand limit is infinity.